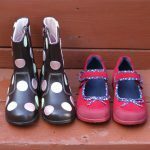 Stride Rite has a big selection of colors and styles for kids’ boots. 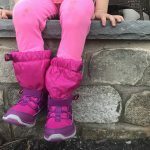 I chose the Merrell boots for my girls. They are warm, sturdy and really easy to get on and off. I find snow boots to be the hardest thing to get on and off small feet. We actually had a pair in the past that we couldn’t get on to Maggie’s feet no matter how hard we tried, and had to return them. The Merrells open on both sides with velcro, making it very easy to get them on and off. They are waterproof and the lining is very soft. These pants are awesome! They have adjustable shoulder straps that help them grow with the child AND a seam in the leg you can cut to let the legs out to make them longer. 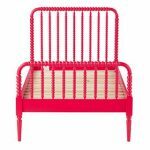 For durability, there are padded/reinforced knees and seat. These pants will last for years! Right now they are 50% off + an extra 20% off making them less than half the normal cost. My girls are not crazy about hats and gloves. They usually claim they are “so warm and don’t need hats and gloves”, even when it’s 12 degrees out. This all changed when they got new gear from Little Miss Matched. Their sets are colorful, fun and my girls treated them more like cool accessories than winter gear. 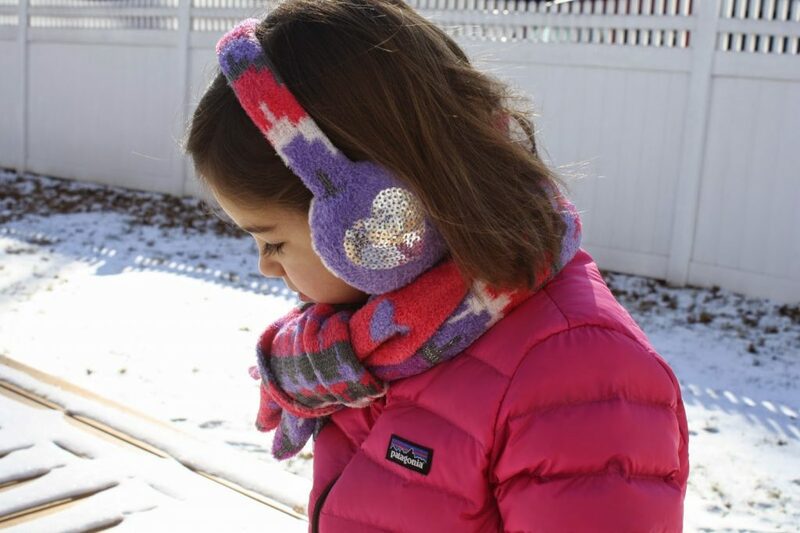 In fact, Alex wears her ear muffs indoors too now. The hats, gloves, scarves and ear muffs we have from Little Miss Matched are warm, well made and have helped make heading out the door in the cold much easier. Their sets make adorable gifts too. 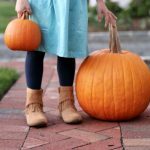 Little Miss Matched is having a huge sale right now – all winter wear is 50% off! Julie and I both have an Eddie Bauer coat for one of our kids this winter. The are really warm, but very thin. This is key for hoping in and out of the stroller, etc. 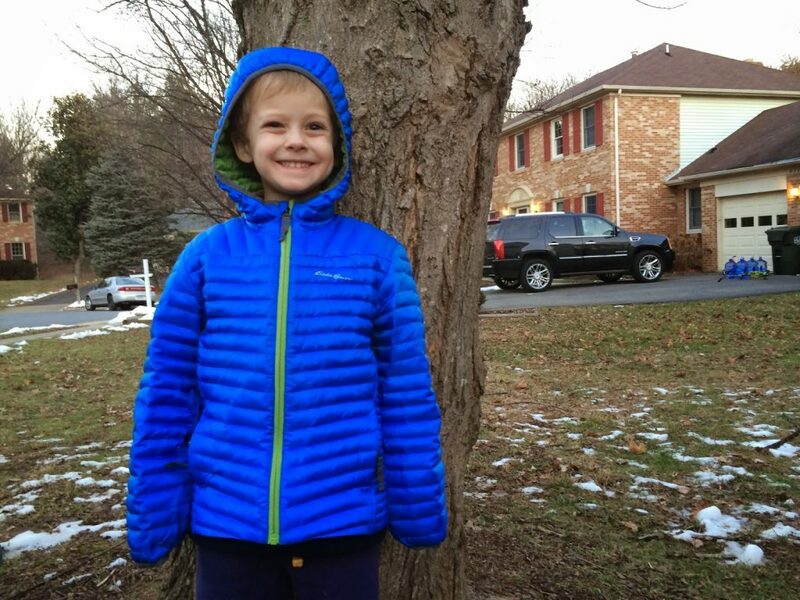 We also find the kids are more comfortable with coats that are not very bulky. They can still run around and play as usual, but still keep them very warm. Julie has a Boys Microtherm Hoodie for Aiden and I have a Girls’ Downlight Hoodie. These coats are all on sale right now. Snow in the gloves or up the sleeves is usually the reason our playing out in the snow gets cut short. not this year! 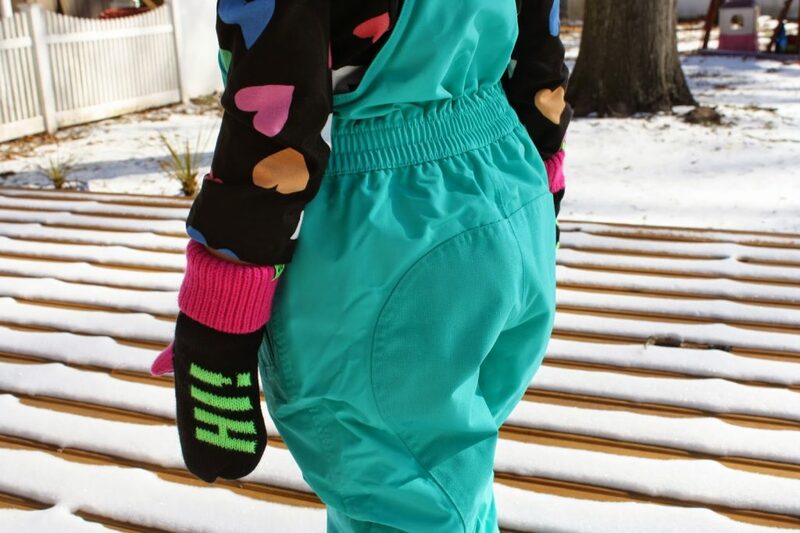 I found gloves for kids that stay on and prevent snow getting in their gloves/sleeves, because of how long they are. 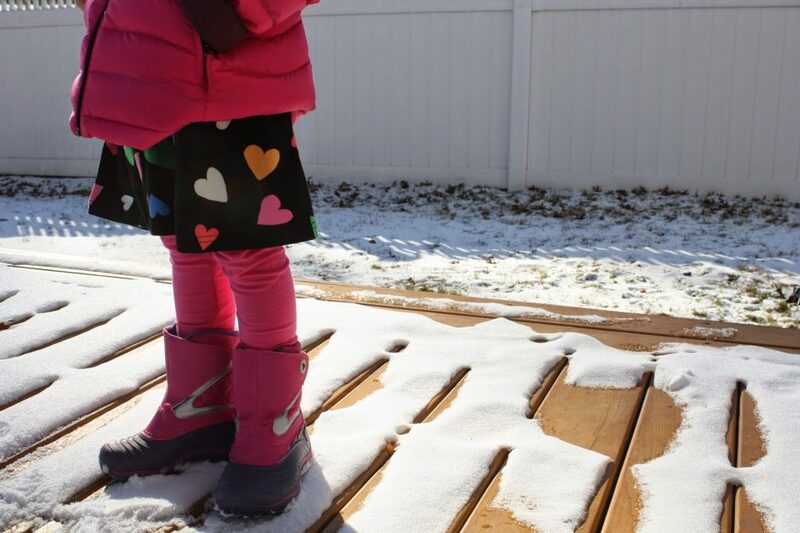 SnowStoppers come in great colors and are waterproof. 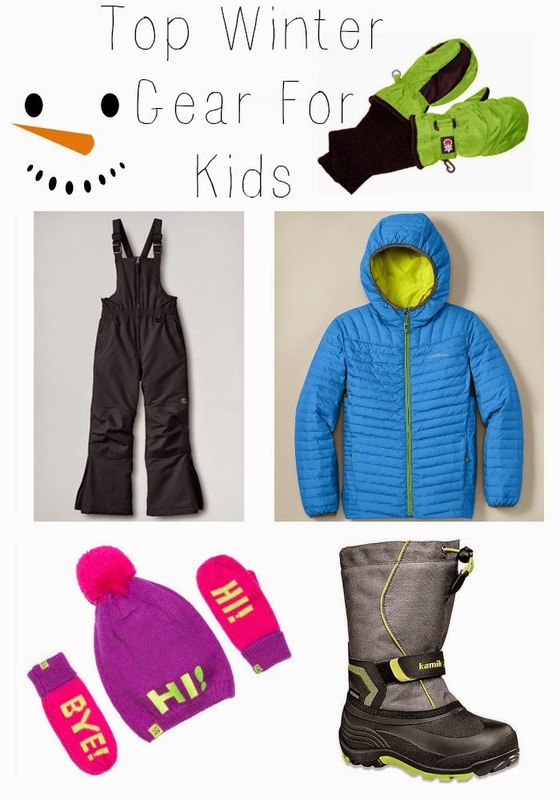 It’s not always easy to find good snow gloves for toddlers and even preschool age kids. These are great! 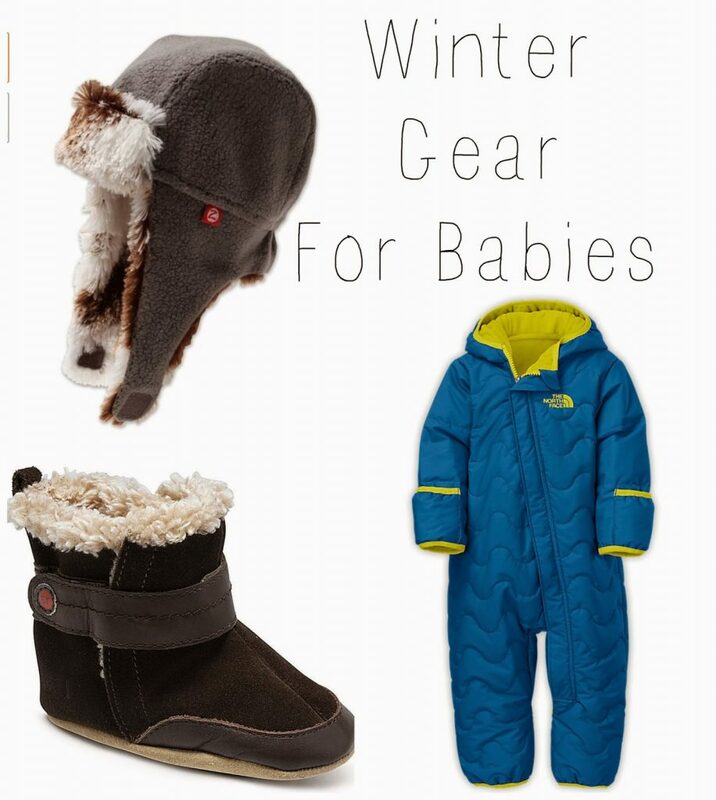 Bundling up a baby for snowy days is not easy. I never know if I am over dressing or under dressing when it comes to an infant. If Tommy is going to stay in his carrier, we usually do a light fleece bunting. For stroller walks or joining his sisters at the park, I try to bundle him more. 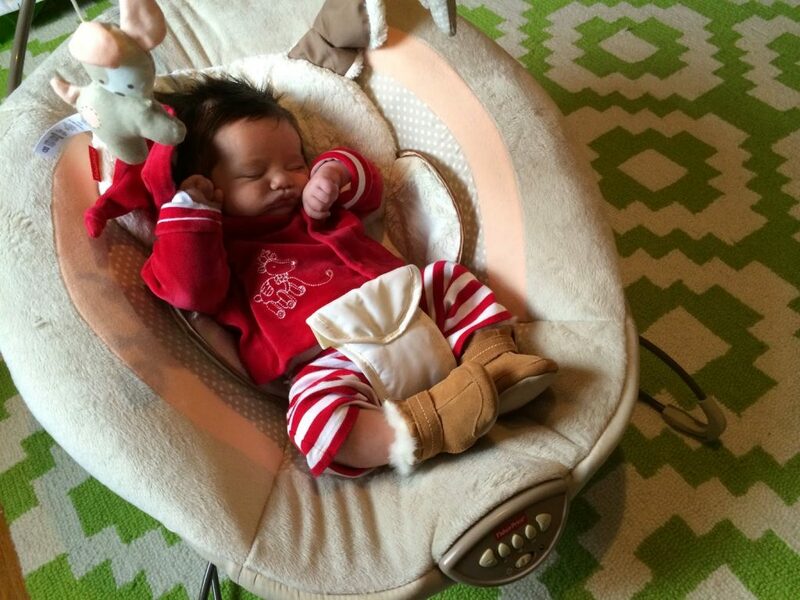 We love the Stride Rite Crib Bootie for boots. They are really warm and easy to get on teeny feet. Tommy got this awesome Zutano hat from my cousin for Christmas. It’s really warm and super soft. It comes in lots of great colors too. For a snowsuit or warmer bunting, I highly recommend a North Face Toasty Toes Bunting. I got one of these when Maggie was 8 months old. She wore it her first 2 winters, then Alex wore it and now it’s on to Tommy. The way it’s cut, it fits for a long time. We have the 6-12 months and my kids have worn it over a range of 3-18 months. It’s awesome quality, and even after tons of washing and many winters of use over 3 kids, it’s still in perfect condition. It is not bulky and they still fit comfortably in a stroller or carrier (we’ve had them wear it in the Ergo, Bjorn and Ille carriers). This is great way to bundle up your little bundle of joy. 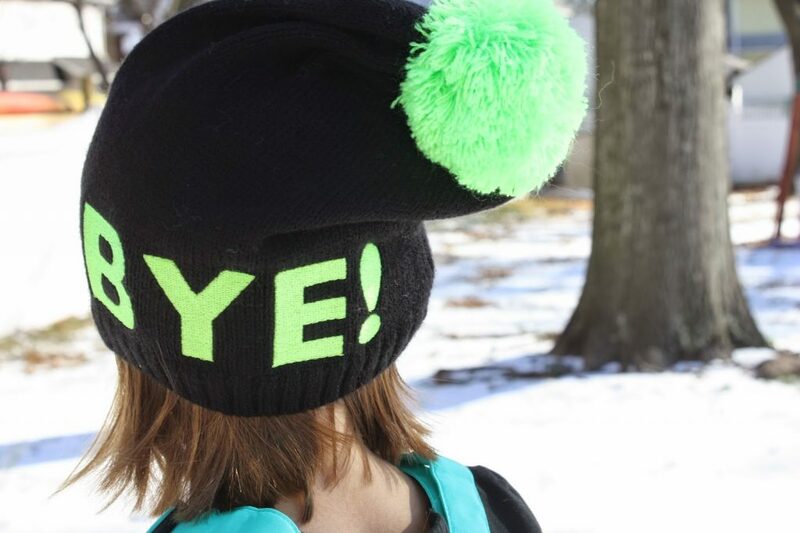 If you’re all set with winter gear for this season, now is a great time to stock up for next year. Stay warm!